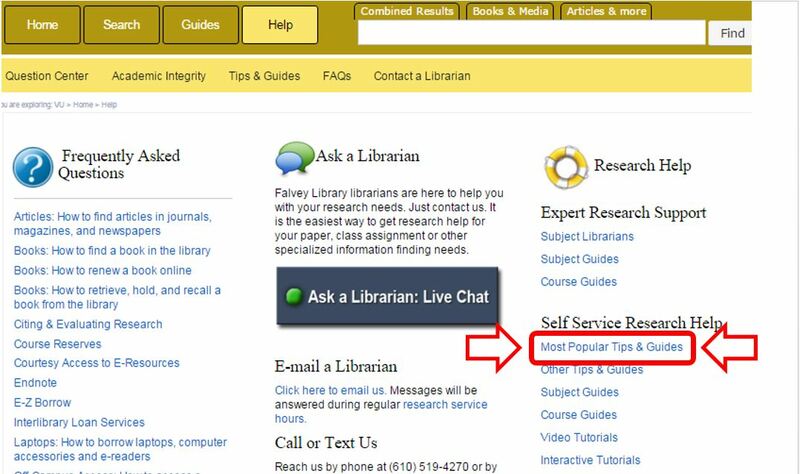 Falvey Memorial Library :: The Highlighter: Have You Seen Falvey's Powerful New Help Pages? The Highlighter: Have You Seen Falvey's Powerful New Help Pages? The library’s Help pages have undergone a major upgrade. To check it out, click the Help button. 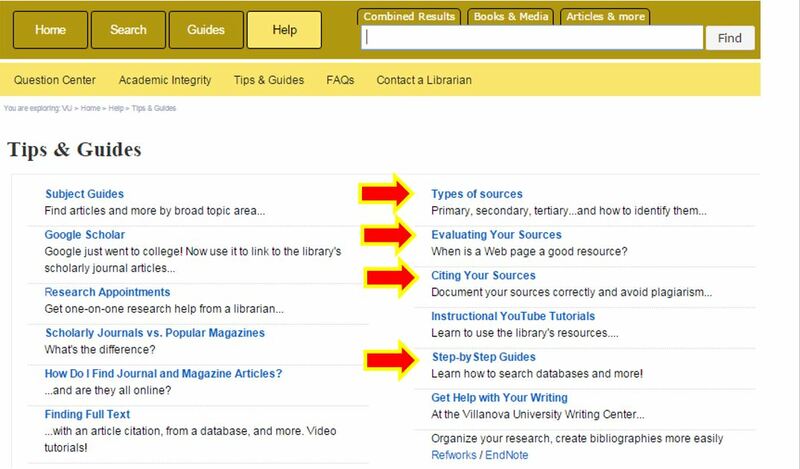 The “Tips & Guides” page (below) offers resources for discerning “Types of sources,” “Evaluating Your Sources,” “Citing Your Sources” and accessing “Step-by-Step guides,” to name a few. Check out Falvey’s enhanced Help pages: available 24/7 over the long holiday weekend.